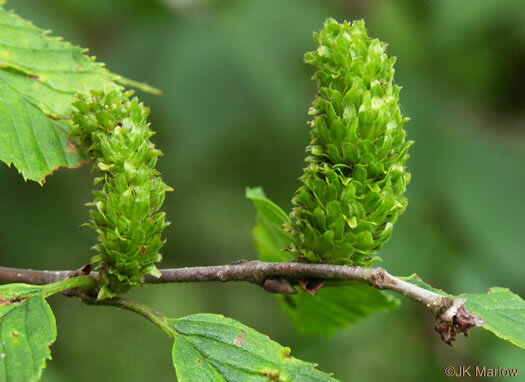 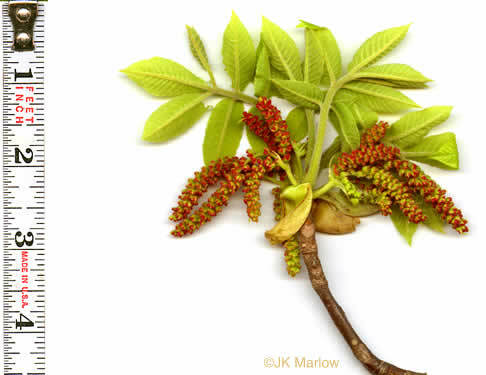 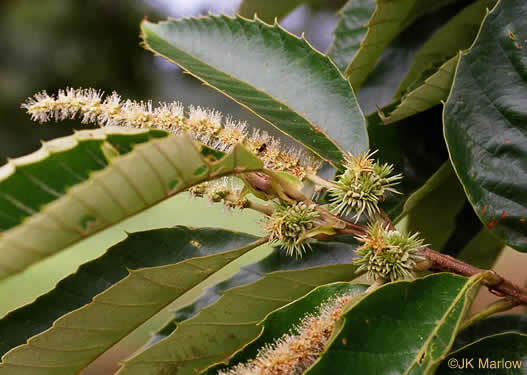 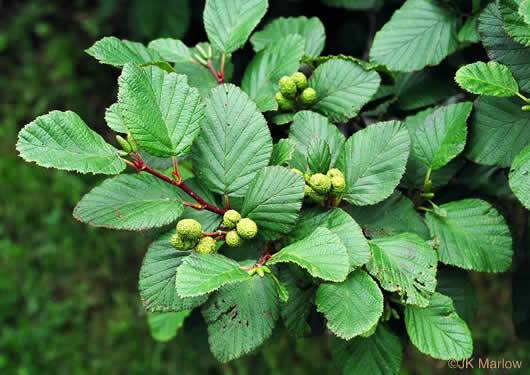 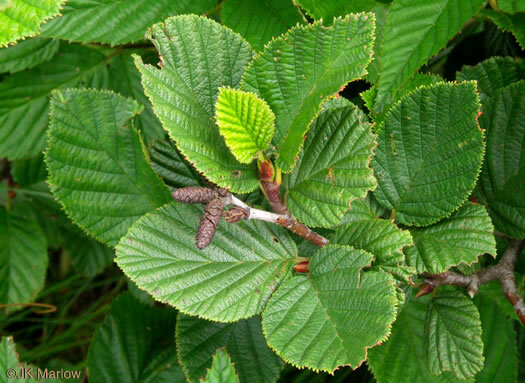 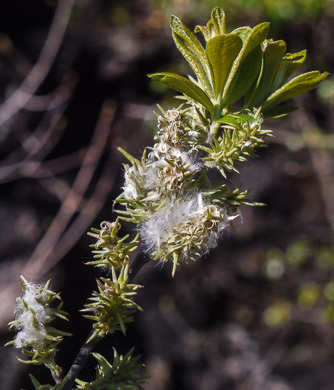 Your search found 43 image(s) illustrating the term "catkin." 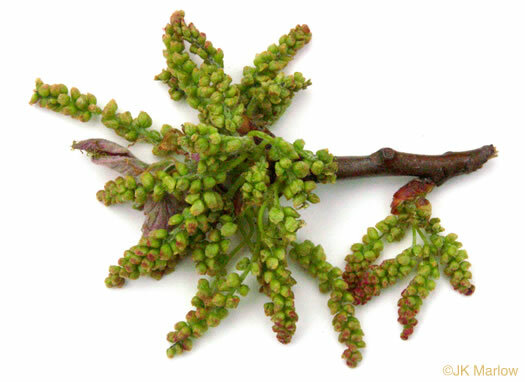 For a written explanation, click on "catkin" in the Glossary. 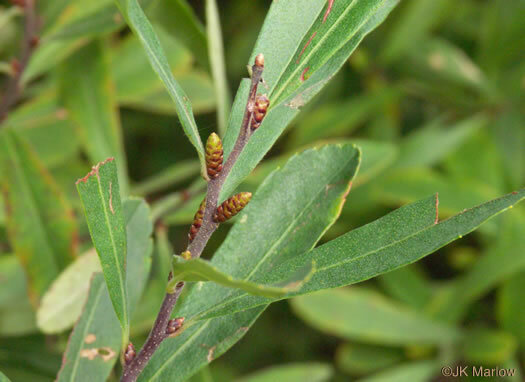 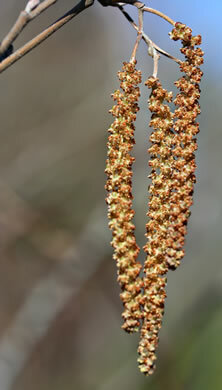 Pollen cones produced in elongated, drooping catkins 3-5" long, per Native Trees of the Southeast, An Identification Guide. 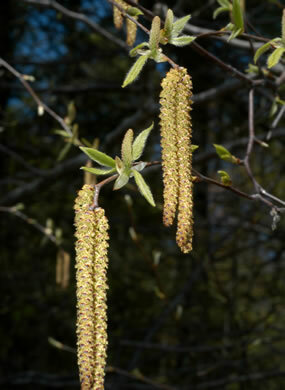 Floral bracts of pistillate catkins moderately densely hairy, hairs white, per Flora of North America. 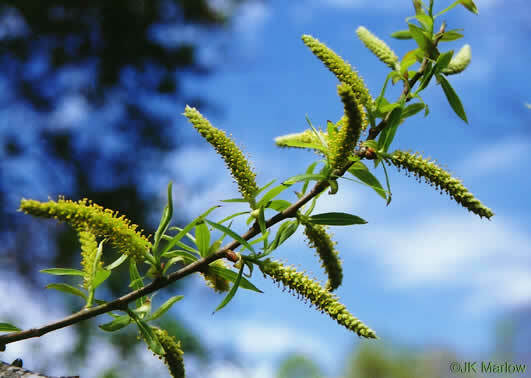 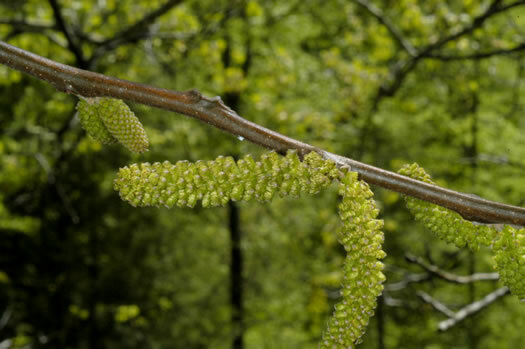 Male & female flowers in catkins on separate plants, per Guide to the Wildflowers of SC. 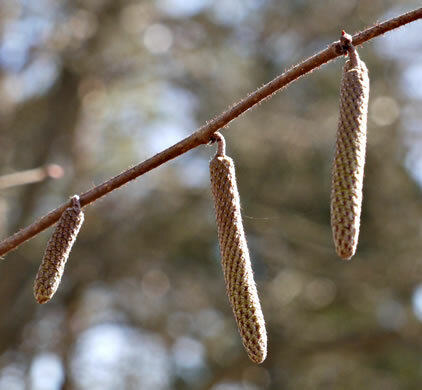 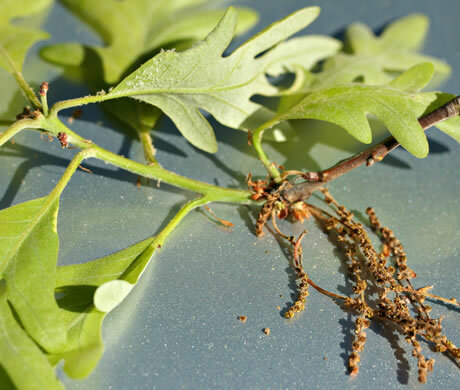 Twigs of mature plants with catkin buds, or buds pointed, per Woody Plants of the Southeastern US: A Winter Guide. 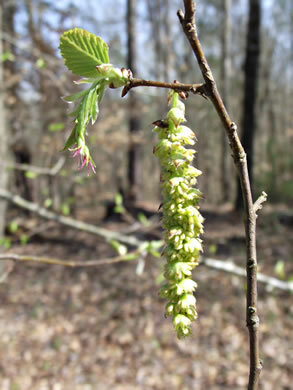 Staminate flowers in catkins 3-5" long, per Native Trees of the Southeast, An Identification Guide. 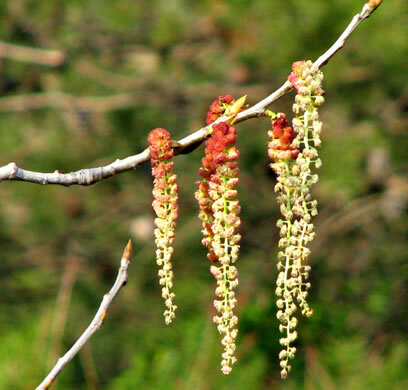 Male catkins appear in fall; female appear in spring before leaves emerge, per Invasive Plants, Guide to Identification, Impacts and Control. 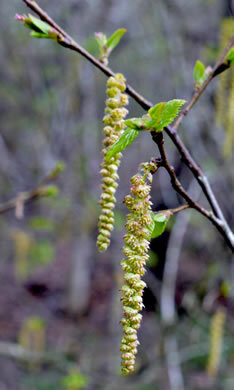 Staminate flowers in upright catkins 6-8" long, per Native Trees of the Southeast, An Identification Guide. 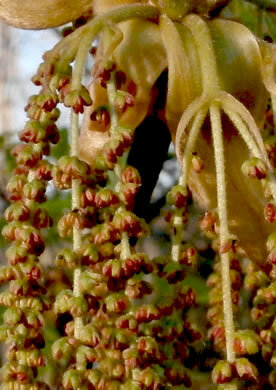 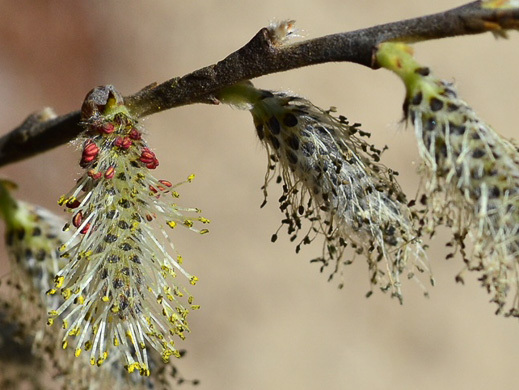 Staminate flowers in erect catkins; pistillate in a prickly involucre, per Manual of Woody Landscape Plants. 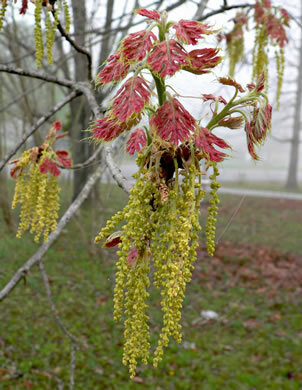 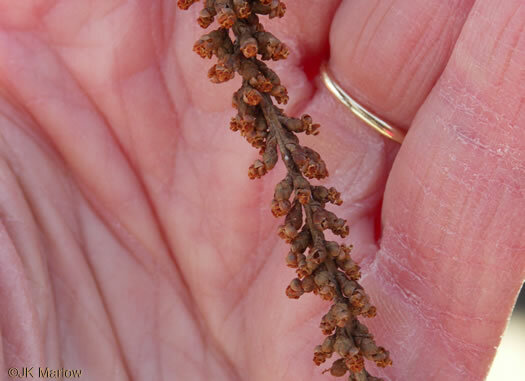 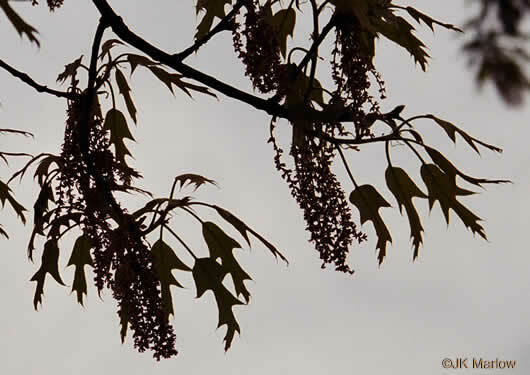 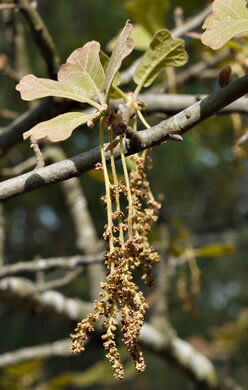 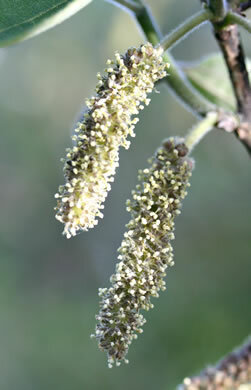 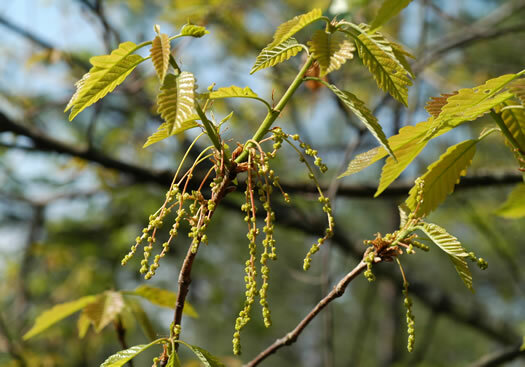 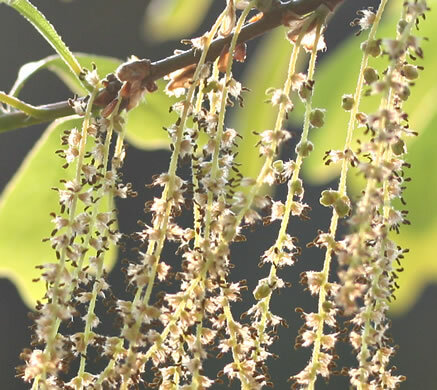 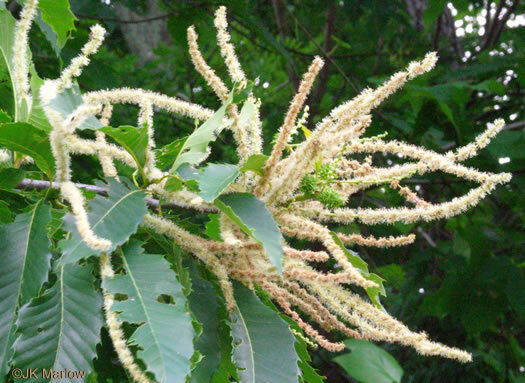 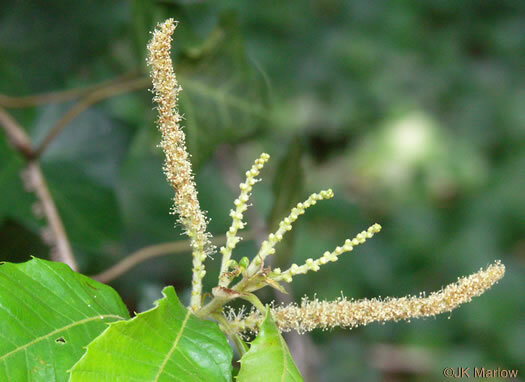 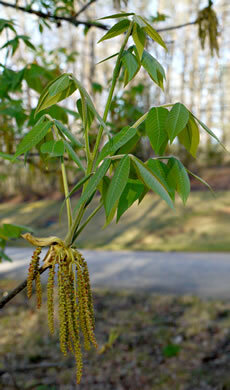 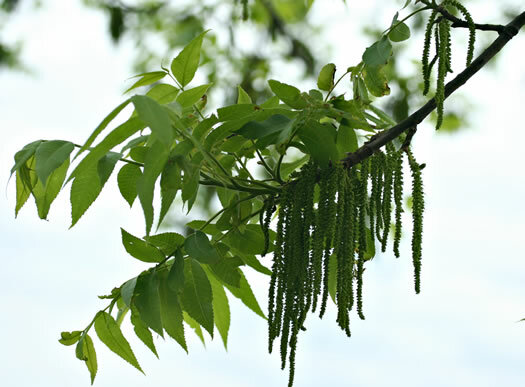 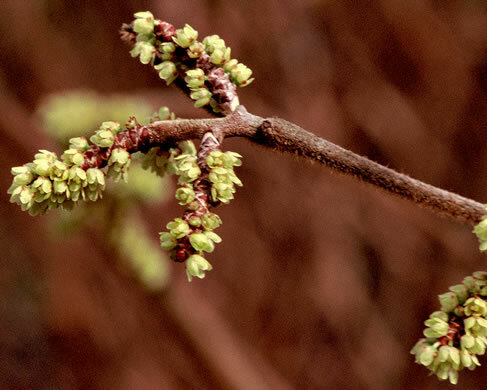 Male flowers in slender naked drooping catkins, the pollen wind-blown, per Trees of the Southeastern United States. 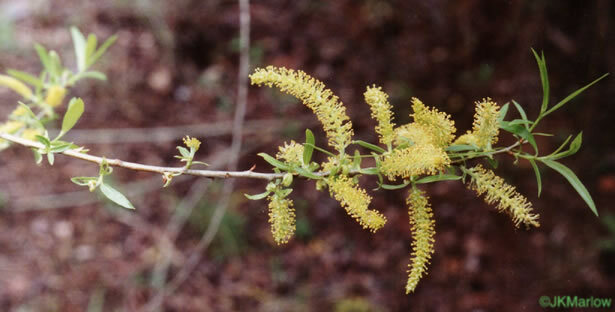 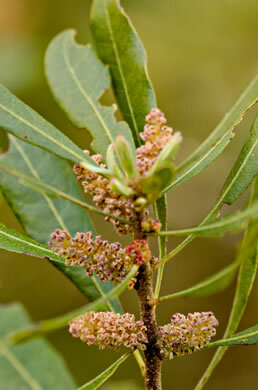 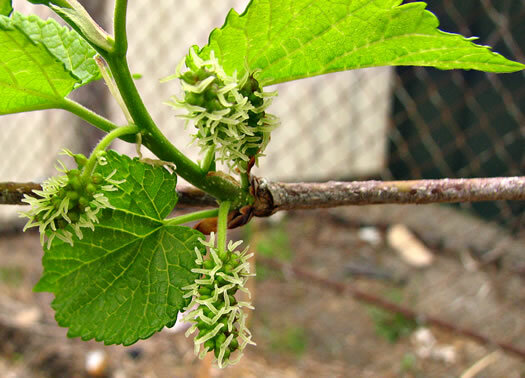 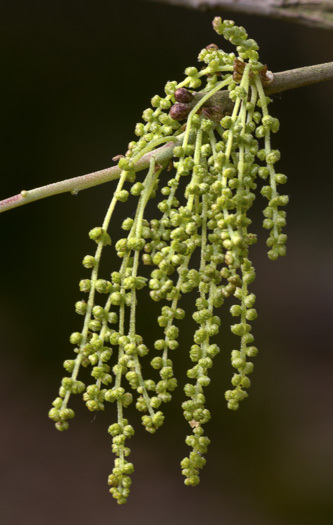 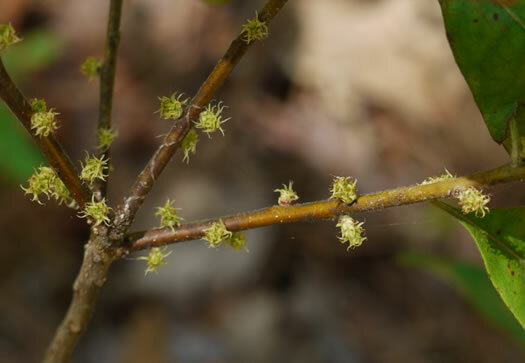 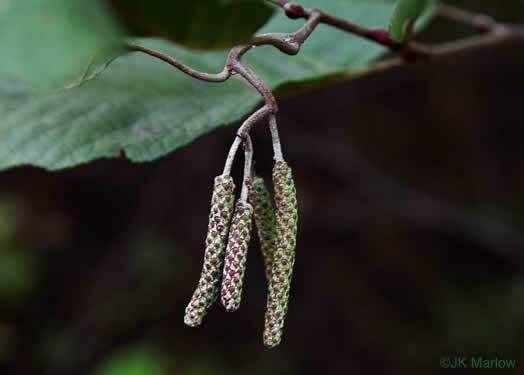 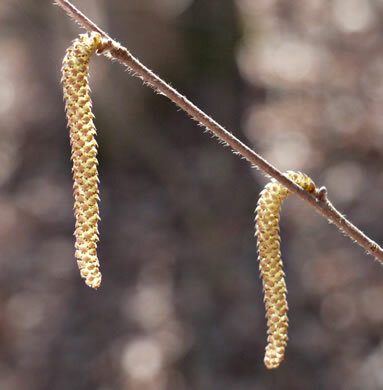 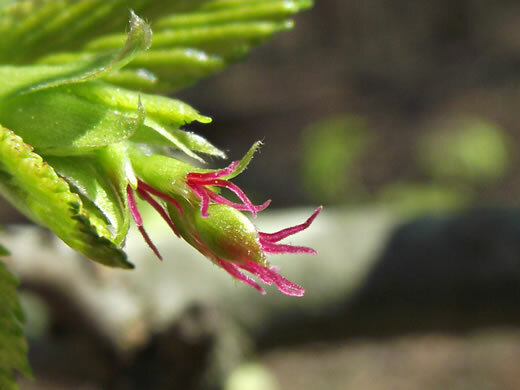 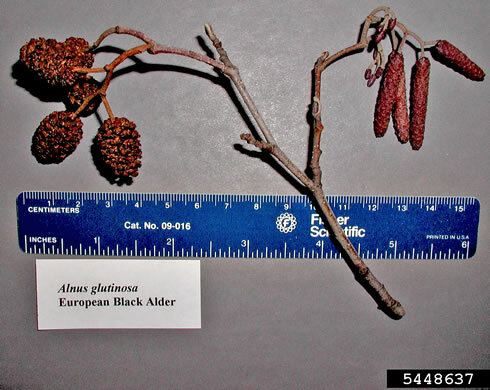 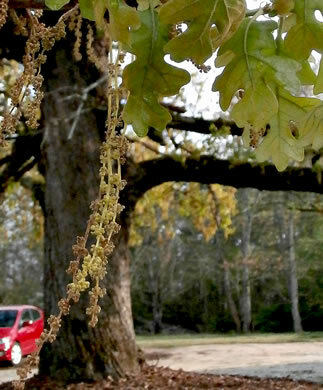 Male flowers in slender naked drooping catkins, per Trees of the Southeastern United States. 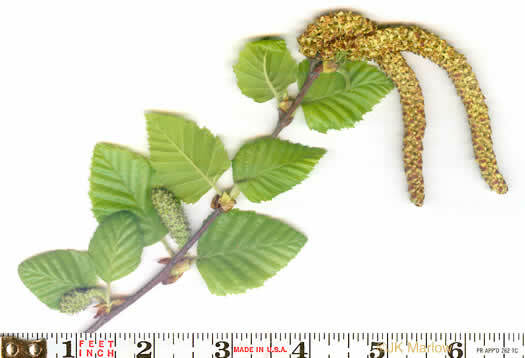 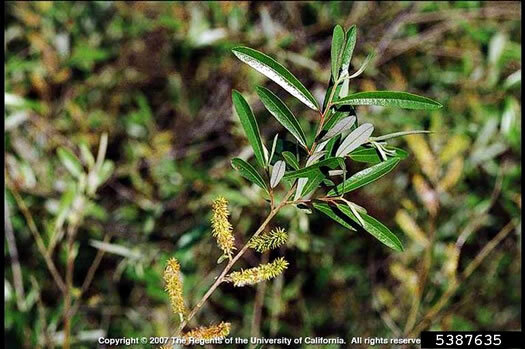 Your search found 43 image(s) illustrating the term "catkin."